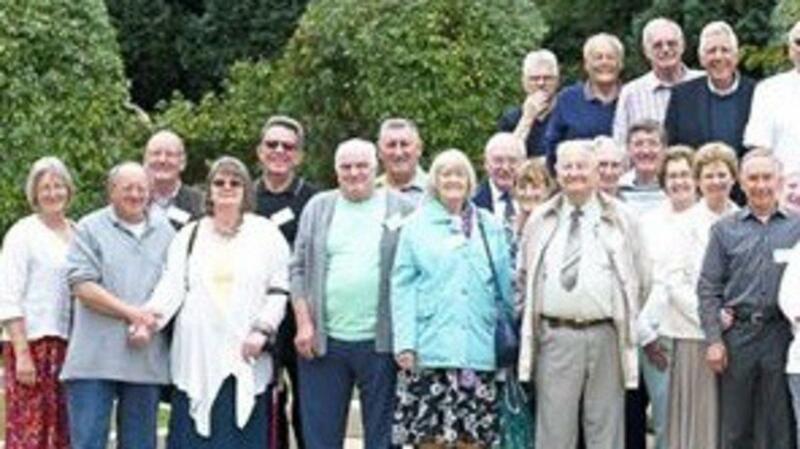 Over the weekend of 17th - 19th August 2018, Church Building Missionaries who served in the 1960s made history when they gathered together at a reunion in the Chorley Stake centre. Around 70 came from England, Scotland, Ireland and Wales, with a few others travelling from America and Canada. On entering the foyer of the building, in addition to everyone receiving a friendly greeting and a warm embrace, they viewed a wonderful display, bringing back a mixture of great memories and feelings of deep appreciation. Many photos of the church building missionaries and the chapels they built were exhibited there. There were also photos of building site events and statements of incidents that had happened during construction. One display board that drew particular attention was a remembrance board listing almost 150 names of those who served during the building years and have now moved on. You could not read the names without a sense of gratitude and reverence enveloping you. It was pleasing to look around and see the many who remained true to that faith that they embraced all those many years ago. 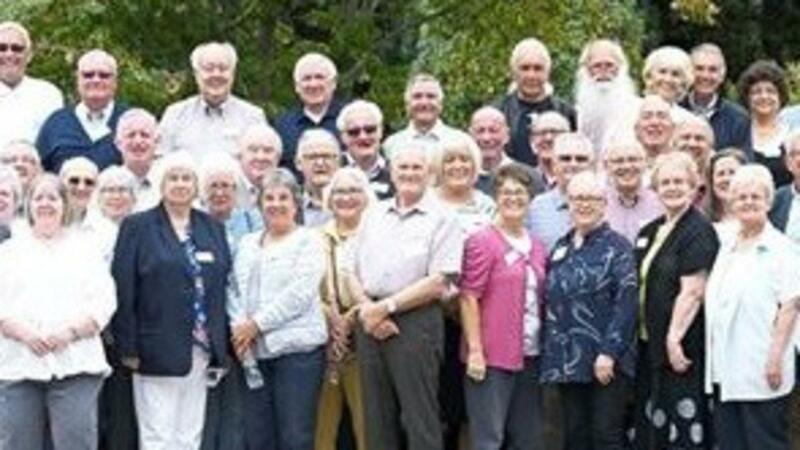 On Friday evening everyone enjoyed a meal together and continued mingling.Those conversations produced their own buzz as all present caught up with the past and chatted about people, places and events from so long ago. On Saturday morning, breakfast was served and a general session was held. During the session Arnold Jones, Church History Advisor for the UK and Ireland gave a few words of introduction. Frank Blease, the Chairman of the Reunion Committee, conducted the session and welcomed everyone. He spoke of a ‘common bond between us,’ not just through building together, but that we share a common bond in the atonement of Jesus Christ – and our allegiance to Him. A presentation was given by James Perry. 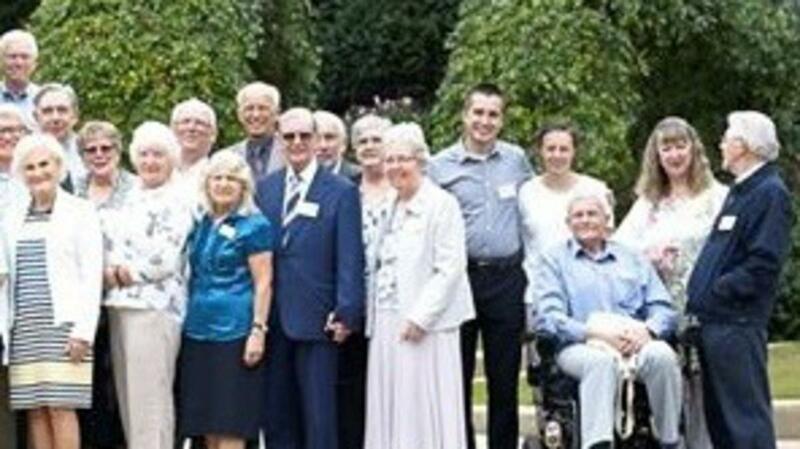 He spoke of the background to the building programme of the sixties, and the impact it had on the builders, the missionaries and the members, as well as on the future of the Church in the UK and Ireland. By 1982, 172 chapels had been constructed. He concluded with a sincere thanks to the building missionaries, for their service and sacrifice. Three workshops were then held. Firstly, oral histories (12 individual and 4 group oral histories were completed). Secondly, a ‘show and tell’ on memorabilia and mementos that had been brought along. Thirdly, a roundtable session that teased out even more stories and experiences of the building missionaries. A fun activity then ensued – five groups putting their old skills to work – to build a cardboard chapel in 40 minutes! The creations produced during that time were quite remarkable. Late afternoon and some embarked on a historic tour of the Preston area, whilst others chilled out until the buffet dinner was served in the evening. After dinner entertainment was led by four former building missionaries. There were various sketches including the ‘Two Ronnie’s,’ songs by the ‘Baritoners,’ the ‘Munday Family,’ and a missionary quartet. The evening ended up with all of singing, ‘When our Missions Over,’ a song that had first been sung at a building missionary convention in the 1960s. What an absolutely wonderful evening of entertainment was enjoyed by all. On Sunday morning a Sacrament and Testimony meeting was held. A welcome letter was read out received from Elder Kenneth Johnson, Emeritus General Authority Seventy. He wrote of the miracles that took place during the building programme years and the growth that followed. He also expressed appreciation for those who served in such an inspired cause. Arnold Jones spoke of our message, our ministry and our mission. In the 60s, our message was the building programme, our ministry was building physical places where the saints could worship, and our mission was salvation, providing sacred edifices of worship where salvation could be preached and fostered.